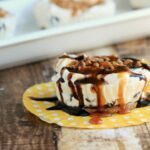 Peach Delight with Pecan Crust - Frugal Mom Eh! 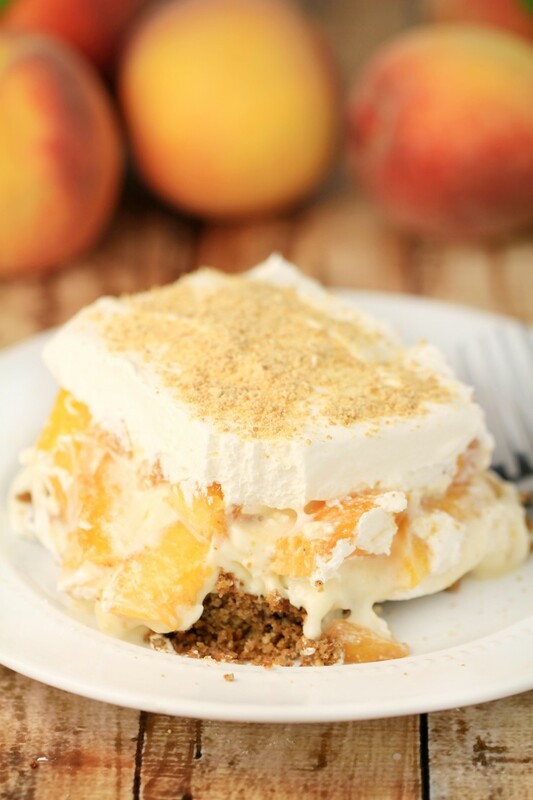 Luscious layers of pecan, cheesecake, fresh peaches and finished with a layer of whipped topping – Peach Delight with Pecan Crust is a delicious summer dessert recipe. As soon as local peaches become available I start buying baskets of them at a time. Fresh, local peaches are the best. Super sweet and ripe. I find when you buy ones shipped in that they tend to rot before they fully ripen but that is not the case with local peaches! I store them at room temperature in muffin tins, that way if one does begin to rot, it doesn’t spread and ruin the other peaches. 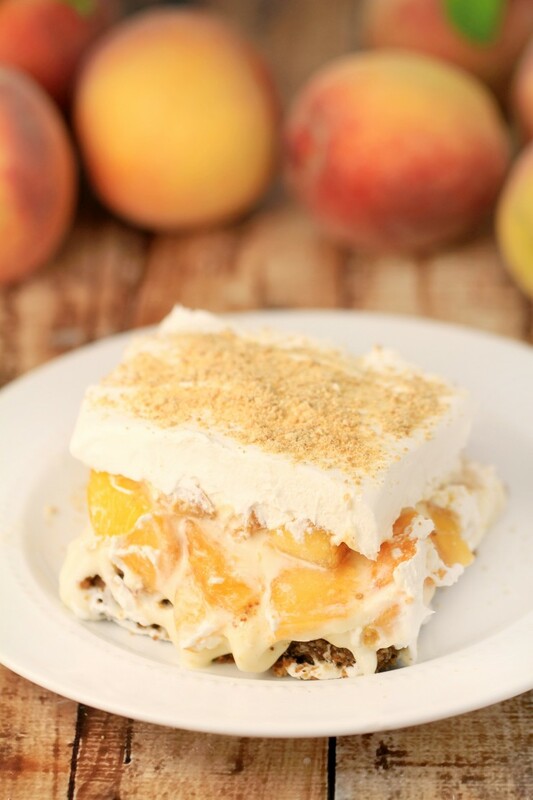 Peach Delight is one of my favourite summer desserts, it’s so full of amazing flavour with both creamy and crunchy flavours. Combine graham cracker crumbs, butter and pecans in a medium bowl. 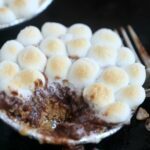 Press the mixture into a 13 x 9 baking dish. Bake 10-15 minutes, or until lightly browned, then set aside to cool. In a medium bowl, stir together the cream cheese and powdered sugar until well combined and smooth. 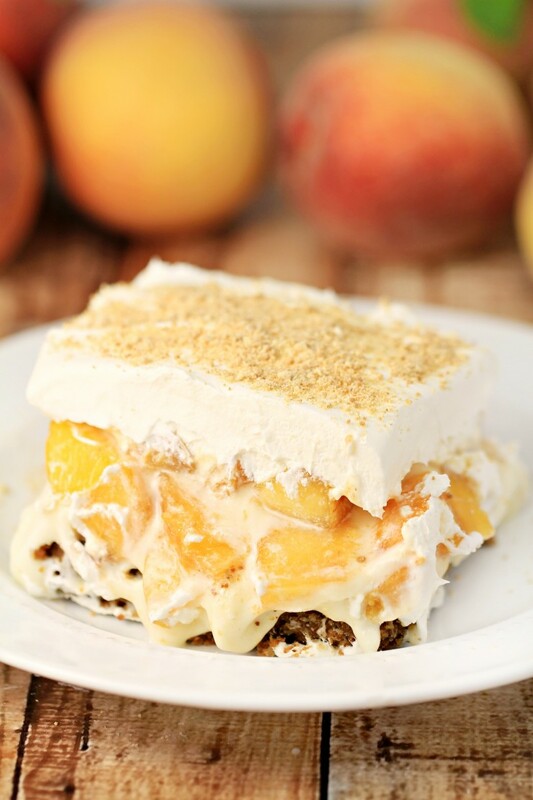 Cover with peaches and then spread over with the whipped topping. 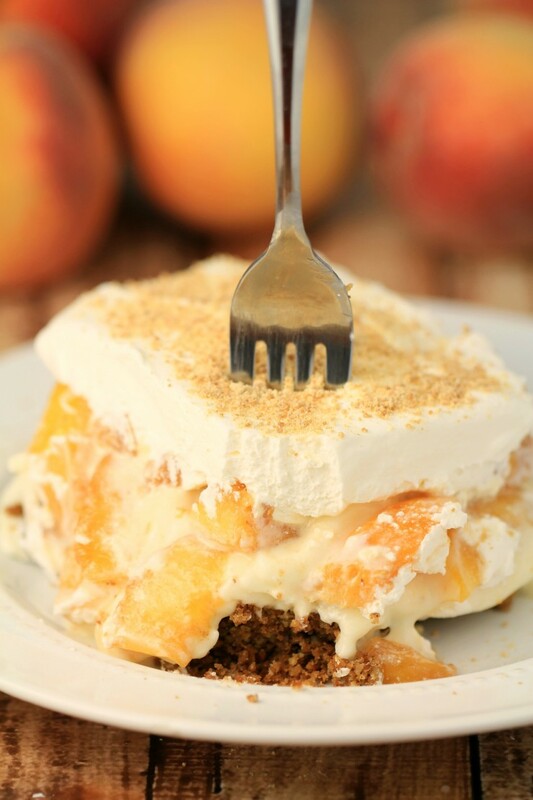 Yum, looks so good and I just happen to have some peaches to use up….thinking it might be dessert! This is a keeper. And the peaches this year have been outstanding. Thanks for sharing. ps. Great tip on storing peaches in the muffin tin. Love it. 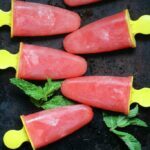 Thank you for this mouth-watering peach recipe. I can’t wait to make it. Thank you for the tip on storing peaches. I would not have thought of that. 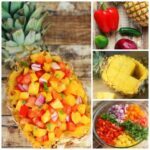 Keep up with the wonderful recipes. This looks so good. Oh my goodness, and so easy, too. Such a nice light desert for summer. My Mom just bought a case of peaches, will pass this one on!